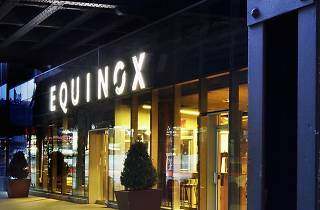 Sports and fitness, Gyms and fitness centers West L.A.
Get back into shape at the ultra-luxe Equinox in Westwood. 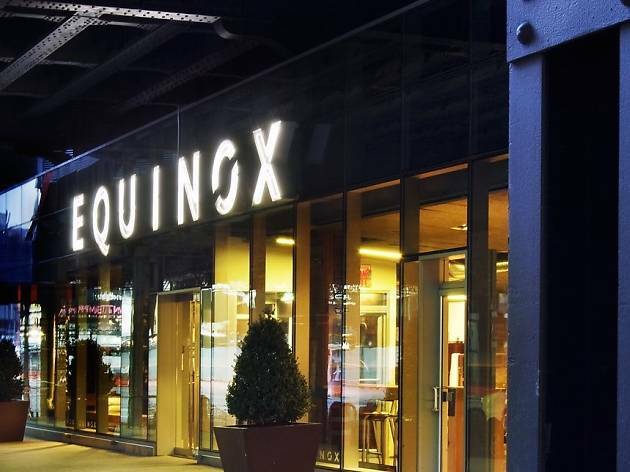 From spinning to pilates, this top-notch workout center boasts a pristine swimming pool, lounge, yoga classes, personal trainers, kids center, complimentary wifi, laundry service and locker rooms stocked with Kiehl's products. Enjoy the spa and nutritional goodies at the Earth Bar for a well-deserved treat after a vigorous workout. I can't stress how aggressive this gym (castle?) is in presentation and layout. If there were a gym heaven, this would certainly be it. I think I may move in if at all possible because although monthly membership is expensive as all h****, it would be much cheaper than my apartment (and YO my apartment doesn't have a hot tub and a sauna so TWO THUMBS UP for the bathroom upgrade). Also, there is an abundance of free Kiehl's products, Q-tips (is this a luxury? I'm not sure but I enjoyed them), moisturizer, shaving cream, razors, and assorted towels. I will neither confirm nor deny my gym bag's fuller appearance upon departure.